Escape room games are fun and challenging puzzles that can be solved individually or in group settings and adapted to any age group. Players must use their wits and teamwork skills to decipher clues that will help them escape from a fictional scenario. This game is ideal for groups with four to eight players, ages 5 to 10, per team. The only thing you will need to do ahead of time for this game is write a series of sounds on a piece of paper. There should be one copy for each group. Sounds used should be noises kids can make using only their bodies and the floor. A sample sequence might be clap, stomp, stomp, whistle, clap, clap, snap. All members of a group should sit with their backs together so no one player can see another. Designate one player from each group as the leader. There is no talking allowed during the game except for group members (not the leader) to say "please repeat" when needed and "check please" when they are ready to have an adult evaluate whether they are correct. The leader has the sheet of paper with the sequence of sounds on it. She must come up with a way to physically make the sounds in the correct sequence, without pausing in between each sound. The rest of the group must listen to the sounds, then attempt to copy the sequence of sounds exactly, judging only by what they heard from the group leader. This requires each team member decipher how the sound was made. The leader can repeat the sequence as many times as needed, but the rest of the group can only attempt the sequence once the leader has finished. Once all members feel they have figured out the sequence, the entire group (including the leader) must sound out the sequence in unison to receive their next clue. Sound sequences should include simple noises such as claps and stomps and be shorter in duration for younger children. To make the game more difficult, the adult could draw images or use clip art images of the sounds when preparing the sound sequence paper. The ideal group for this game includes ages 10-15 with two to six players per team. Choose any origami fold such as an animal or airplane and make a model version. Give each group one sheet of paper and the paper model. Without unfolding the model, the group must figure out how to fold a replica. Through thorough examination and logical reasoning, the group is challenged to decode the paper folding steps. When the group has successfully folded their piece of paper to match the model, the animal/object they create can be the clue to where the next puzzle is hidden. For example, if the model is a paper airplane the next puzzle or clue could be hidden near a picture of an airplane hanging on the wall. 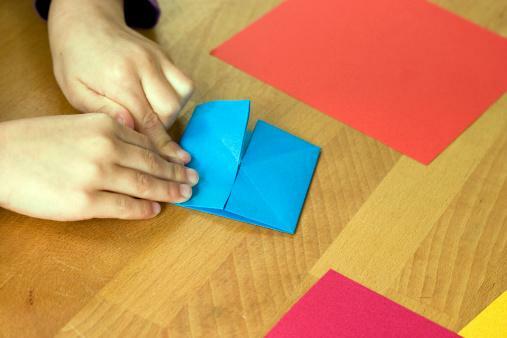 To use this game with younger children, fold the paper in half along the length and then the width or create some other simple shape using three folds. The more complex the origami model, the more difficult the challenge will be. This game is best for teams of four to eight players, ages 5-8. Figurines (such as Barbie dolls or action figures) with movable body parts - you will need at least five. Set the figurines in a line side-by-side. Pose each figurine in a different way than the others, but in such a way that altogether they provide a clue to the next puzzle. Ideally, move only one body part on each figurine. For example, the first might be standing with the right arm extended and parallel to the floor, the second would be standing with the head turned to the right, the third could be standing and facing the second, the fourth might be standing with the head turned to the right, and the fifth would be standing facing the fourth. When looking at the team members head-on (as they are looking at the figurines) this combination has all figurines, and team members, facing in one direction with the first person pointing to the next puzzle. This puzzle should start with minimal direction. Teams should be instructed only to look at the figurines and not to move them and to copy them in the correct way that leads to the next puzzle. 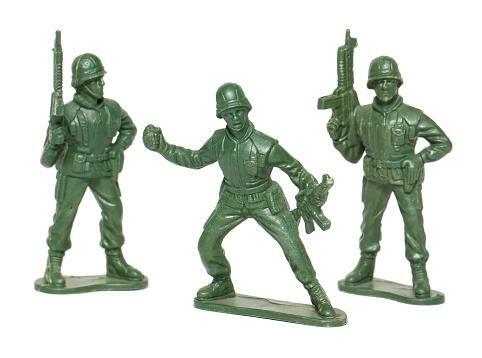 Each team will need to figure out they should stand in a line with each person copying the exact pose of the figurine holding the same place in line as they are. In the given example, the first team member would be standing with his right arm extended and parallel to the ground. When the entire group can copy the group of figurines, they have completed the challenge and should be able to see where to look for the next puzzle or correct exit. To increase the difficulty level, add more figurines with more complex poses. The game can be played where each pose must be struck separately from the others or where players must cumulatively add each pose to the last. Great for ages 5 and up, the game is best for teams of two to four players. Place the desired number of selected objects in one box. Place the same items in the second box. Teams should choose two players for this game. Players may only speak using adjectives such as soft, round, square and rough. The first player will be the leader; the second player will be the follower. Each player can reach into their box at any time, but they may not pull any items into view. The leader should choose an order for the items in the box. The object is for both players to sort their items inside the box in the same order from left to right and top to bottom. When the team is ready to be evaluated, the game moderator can open the boxes out of view of the team to check their order. When the team successfully orders their objects, they can then look at the grouping. The number of items or the logical place where the group of items could be found in the room would lead to the next puzzle. For younger players, choose objects that are more obvious and easy to describe. You will also want to lower the number of items in the box for young players. To increase the difficulty level, choose uncommon objects related to your theme and increase the number of objects to somewhere around 10. Larger teams of four to ten and older kids ages 9 and up are ideal for this game. Come up with a phrase or password to fit your theme, such as "Winner" for a sports theme. The next step is to decide on a code. For example, using the first letter of the name of each object or using the last letter of the name of each object. Once you have chosen the word and the code, you will need to find objects whose names include the letters in your word. In this example, if you chose to use the first letter in the name of each object, the objects hidden in the room could include a water bottle, ice pack, net, nineball (from a billiard set), event schedule and racket. Mark each object in an obvious way, such as with blue stickers, and hide them around the room in plain sight. Create a handout for each group that matches the color used to mark the items and has one blank for each letter of the word they must decipher. In this case, you would have six blanks on a blue sheet of paper. Give each group a handout containing the blank spaces for the word they must decipher along with the number of items they are looking for. Teams must stay together during the entire game. Moving around the room as a group, teams must find the objects. Tell teams the name of each object found contains one letter that fits one blank on the handout and that all letters used from object names follow the same pattern. Once a team cracks the code and deciphers the designated word, it will lead to the next clue or open a lock that uses words instead of numbers. For younger age groups you can number the objects in the order they need to be decoded and use a simpler code. 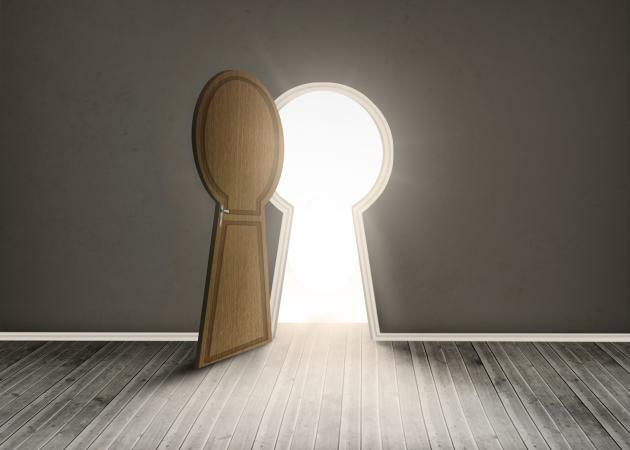 Escape rooms combine social interaction, physical activity, and intellectual stimulation to create a virtual adventure that plays out in real life and real time. According to The Washington Post, the concept started in Asia and has since become a popular activity for children and adults around the world. Participants are typically locked (literally or figuratively) inside a room or small area and have to search for clues to solve puzzles that will help them escape the room. 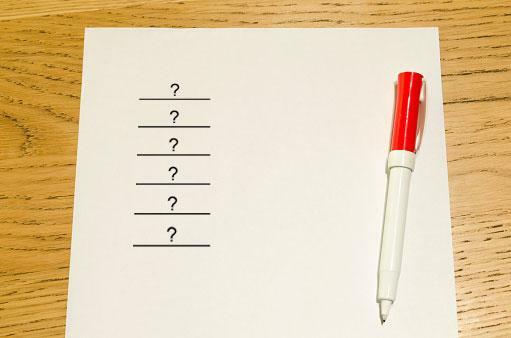 Each game should take roughly two to five minutes to solve, with additional time needed to discover each game and the proper sequence for solving them. Each escape scenario usually includes a specific theme and storyline. To make the experience more exciting and memorable, each game should utilize language and materials that fit the chosen theme. 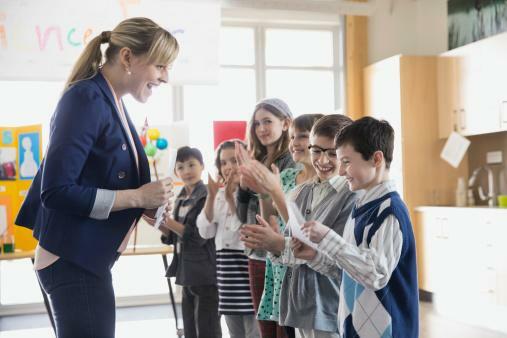 Themes for kids can incorporate specific education subjects like math, history, or geography as well as pop culture phenomena like zombies, video games, and television shows. A great way to find theme ideas is thinking about kids birthday party themes. An expertly thought out scenario with an exciting theme sets the stage for a fun adventure in every escape room challenge. A little creativity and some puzzle-solving skills are all participants need to win the game. Kids of all ages will enjoy the real life thrills and pressure of escape room games.